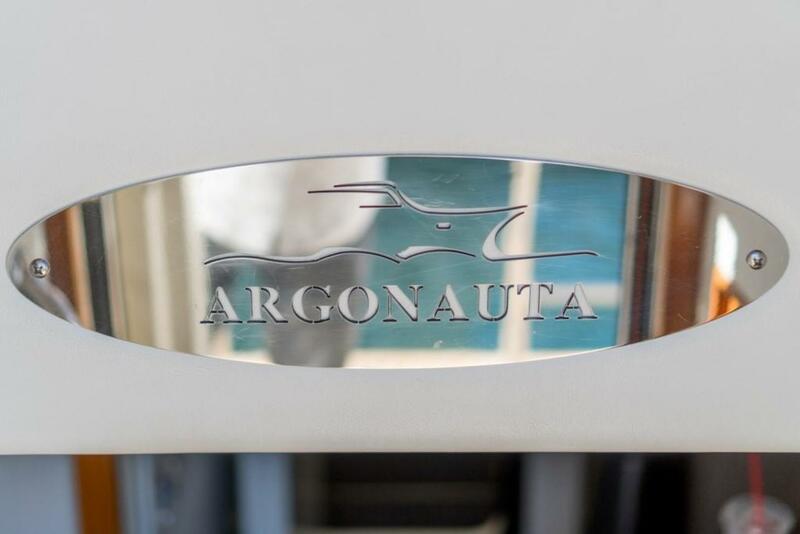 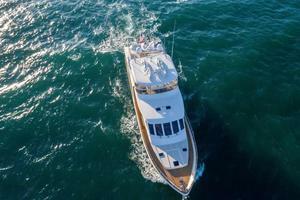 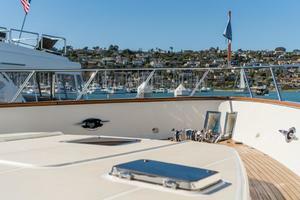 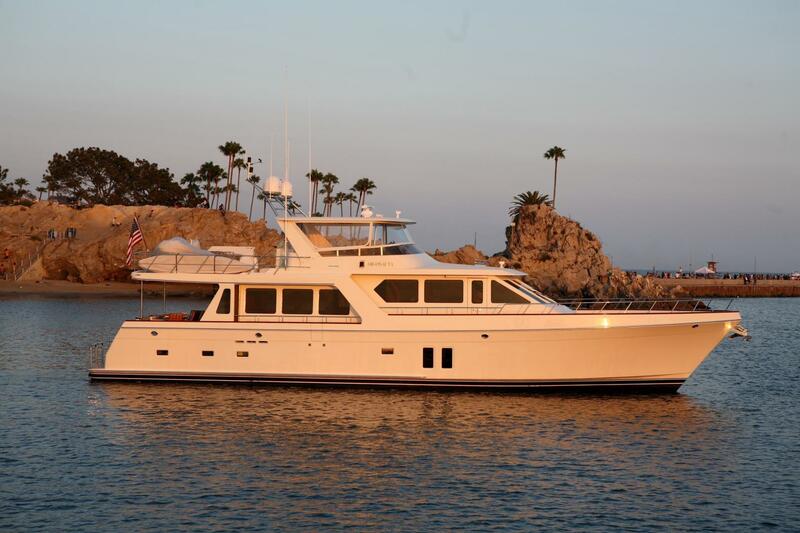 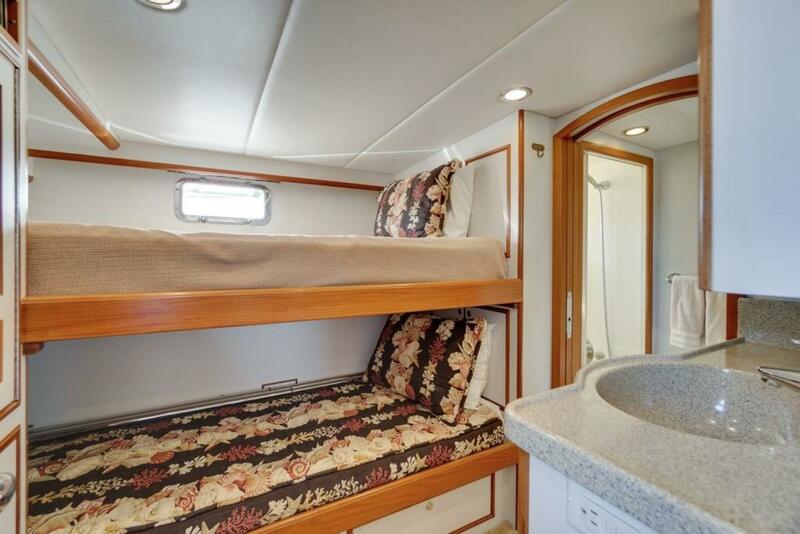 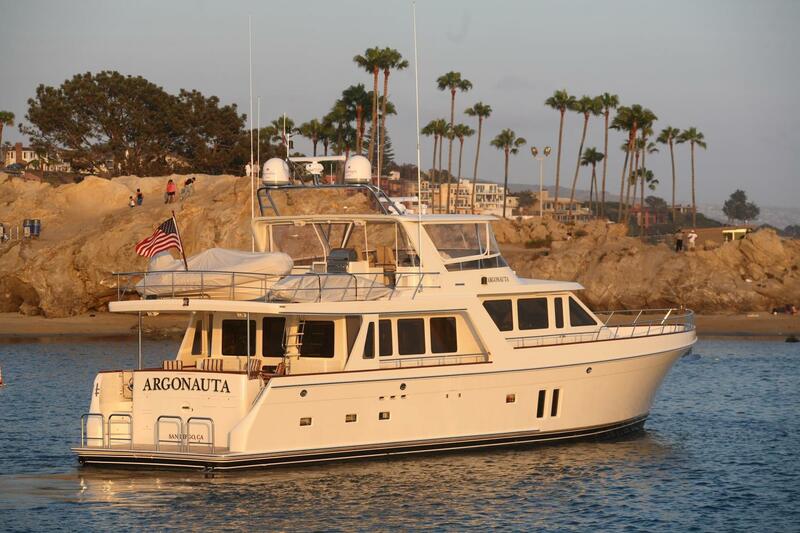 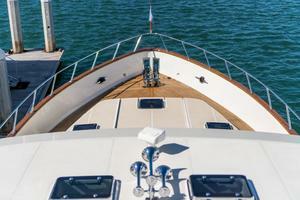 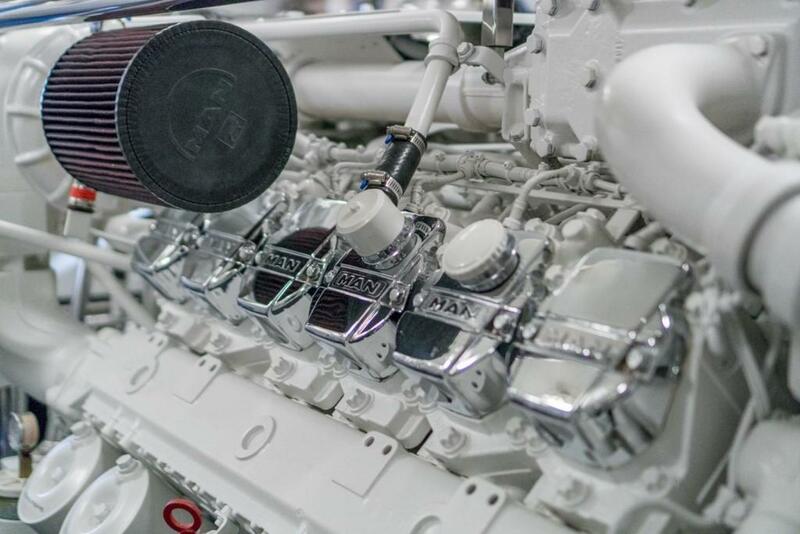 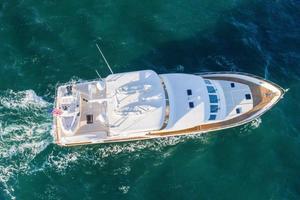 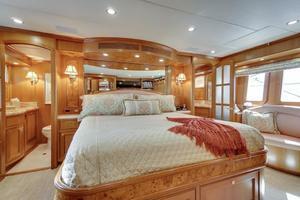 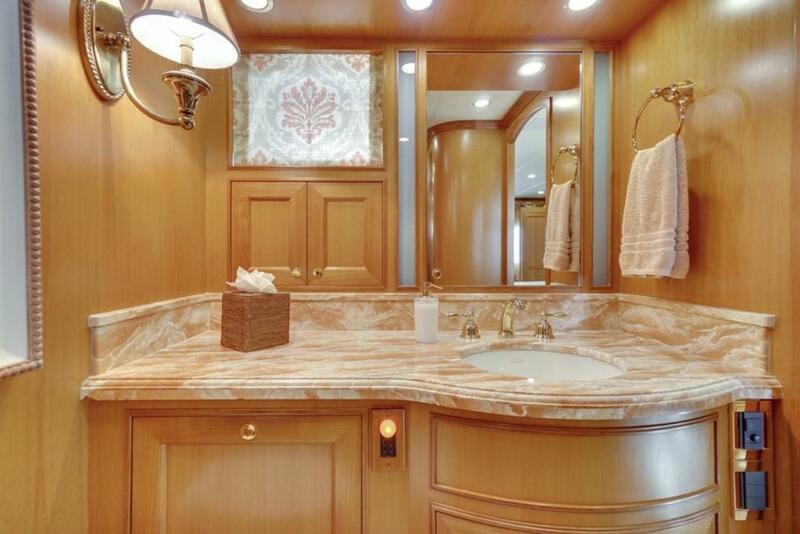 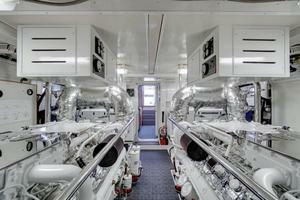 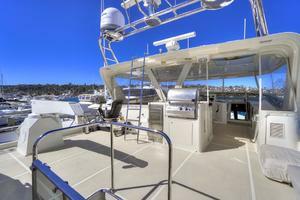 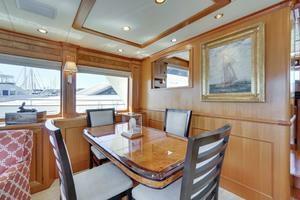 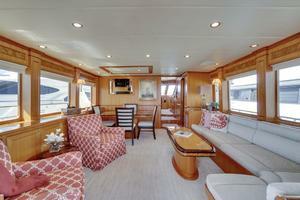 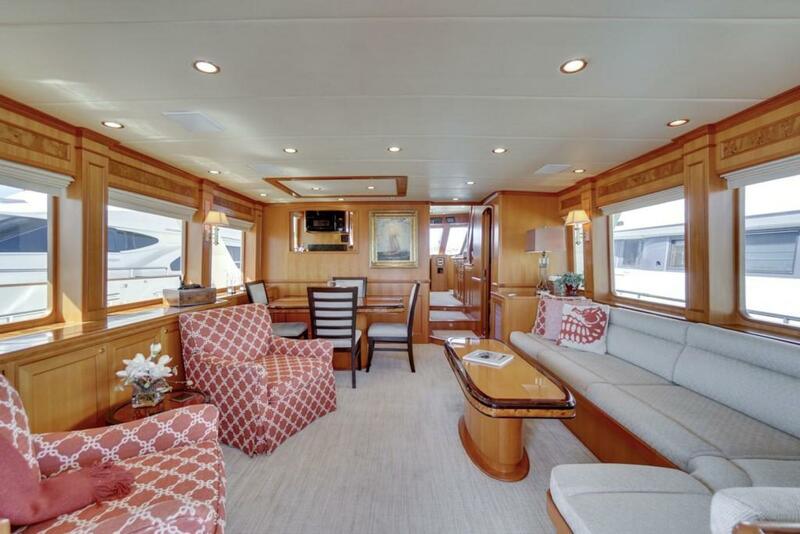 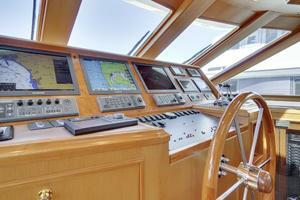 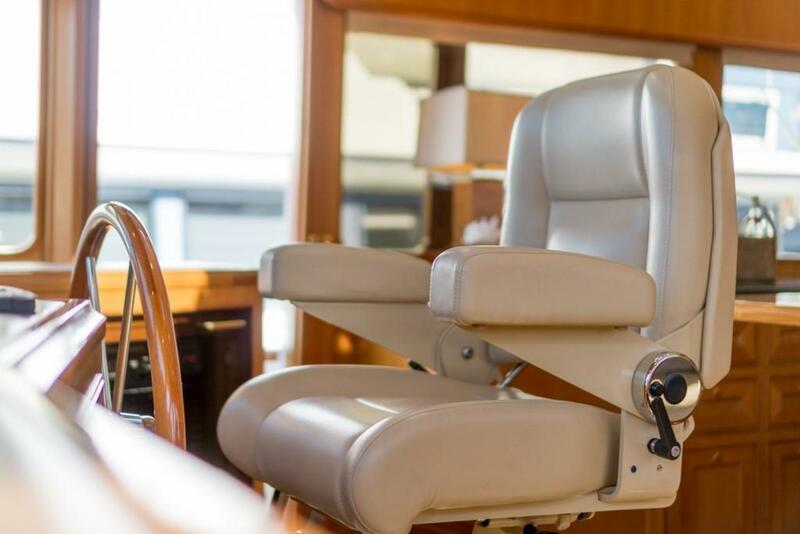 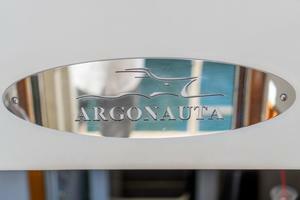 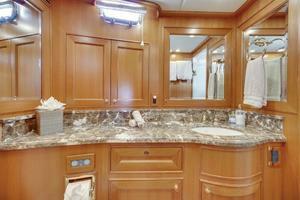 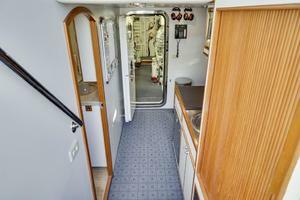 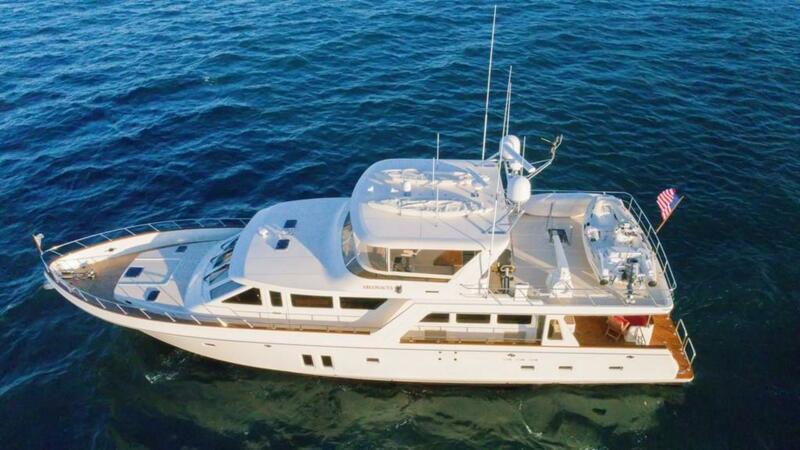 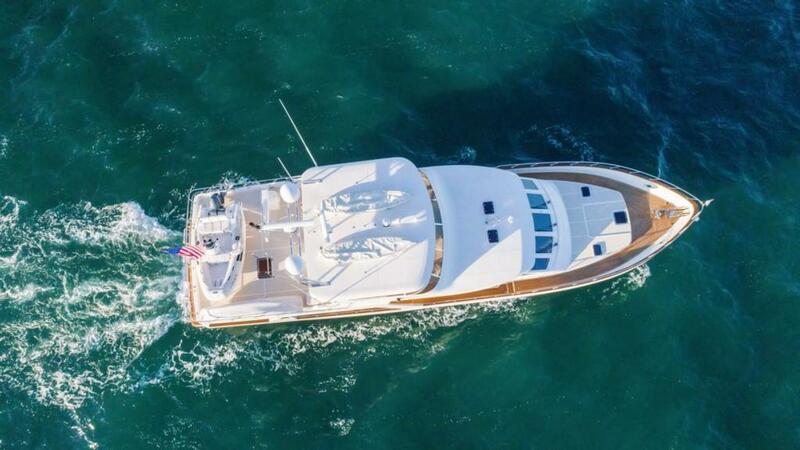 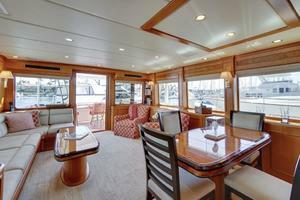 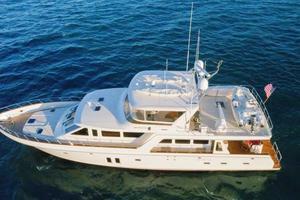 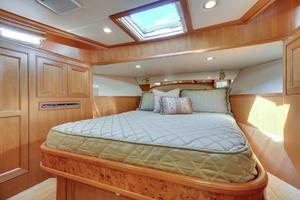 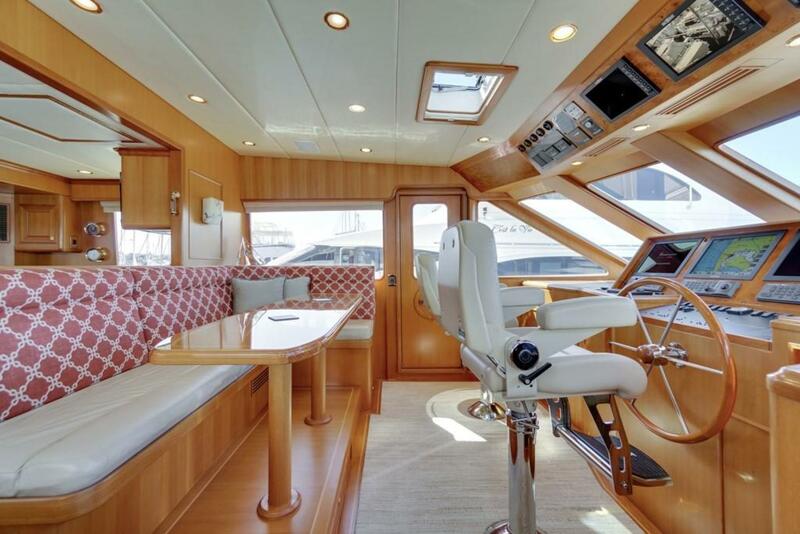 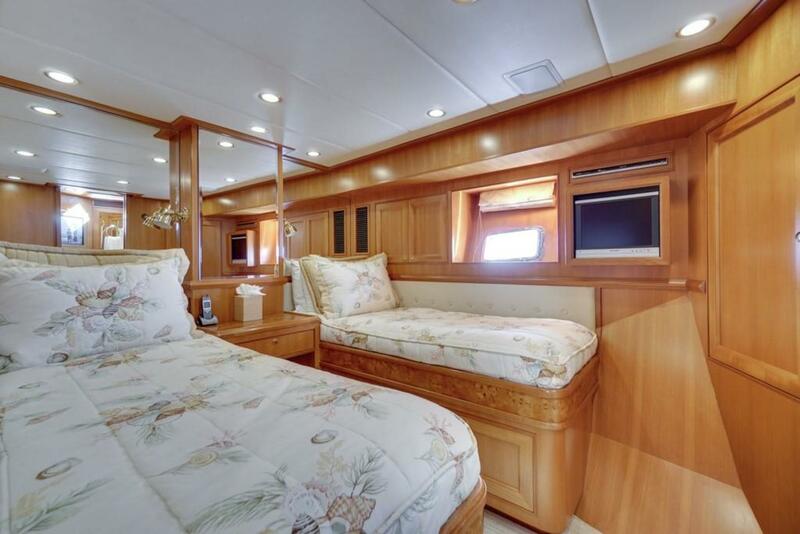 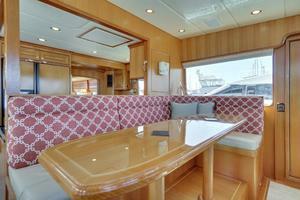 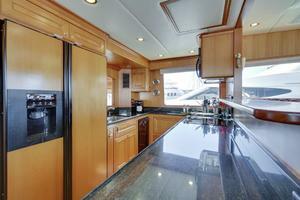 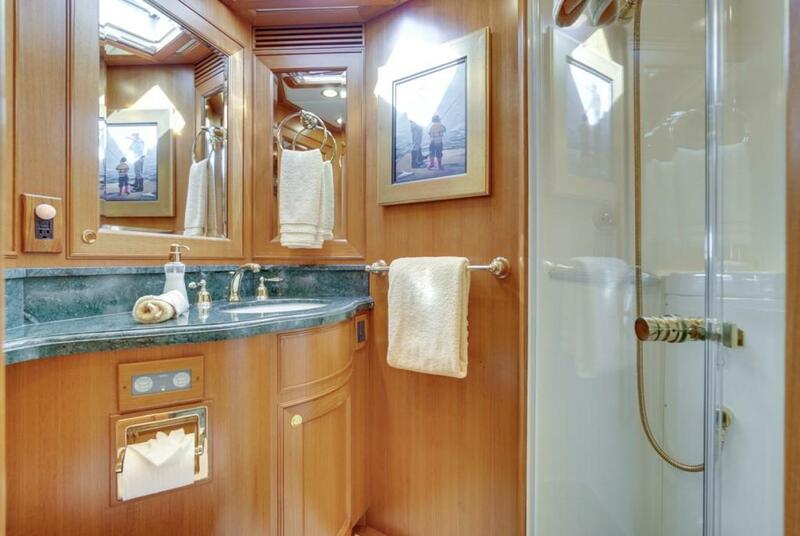 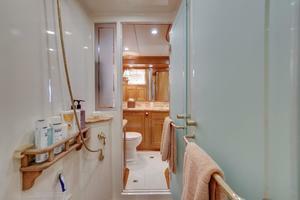 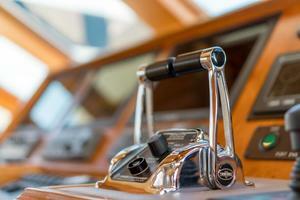 The Offshore 76' "Argonauta" is a study in detail and maintenance. 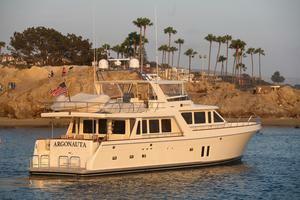 Her owner has spared no expense in keeping her in "new", if not better then new condition over her years of cruising. 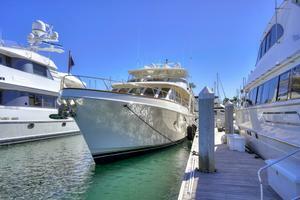 No area is left unattended or kept in less then beautiful condition. 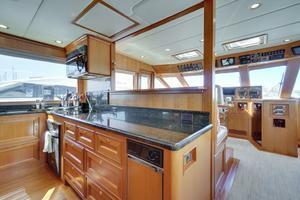 I'd say it would be nearly impossible to find a better cruising yacht in her size in better condition. 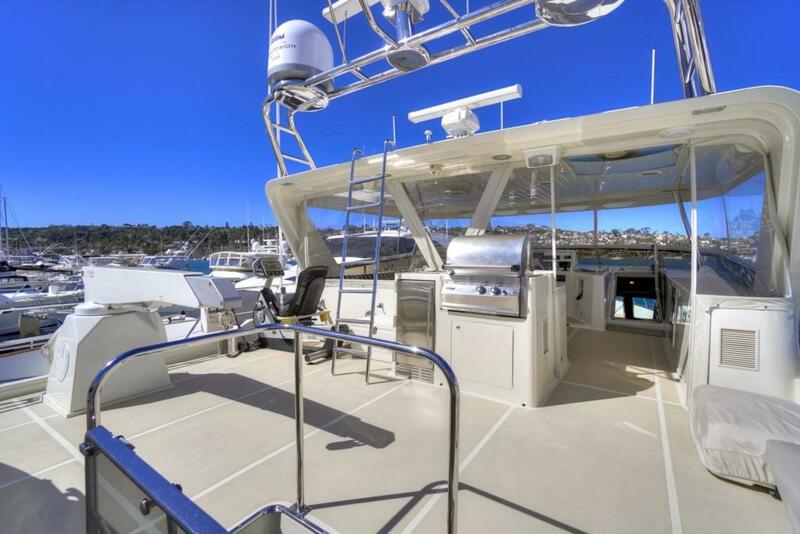 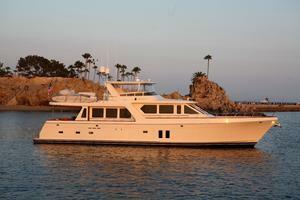 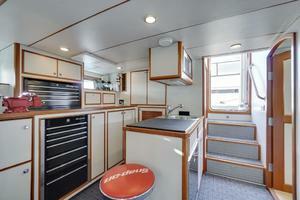 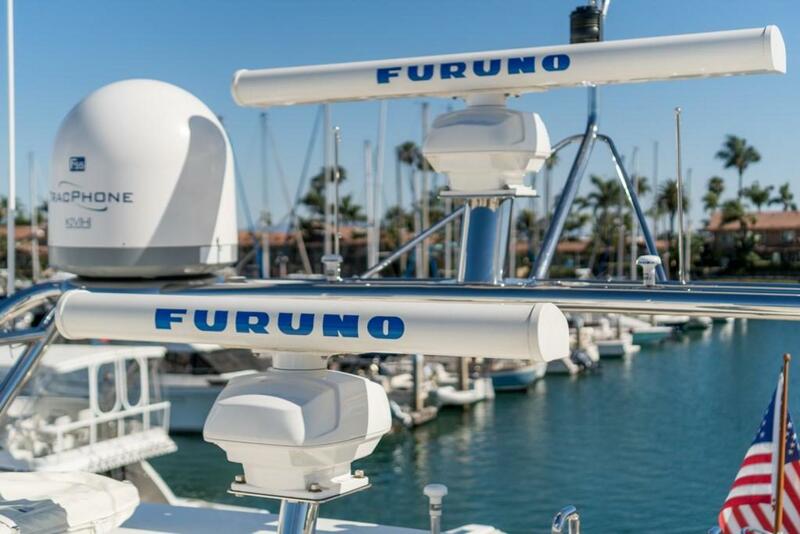 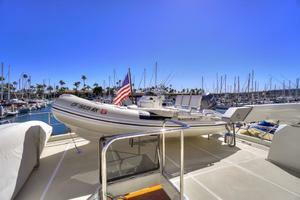 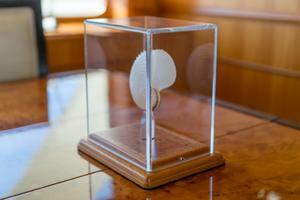 The vessel is sold fully outfitted and ready for immediate cruising. 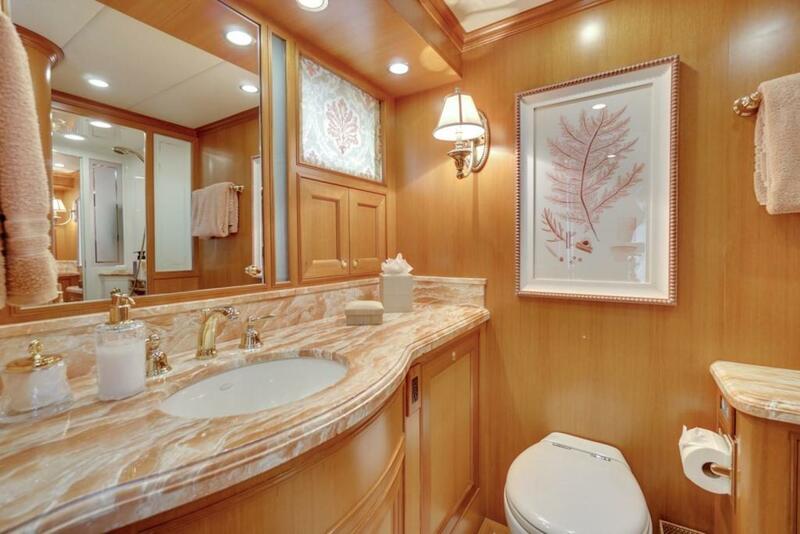 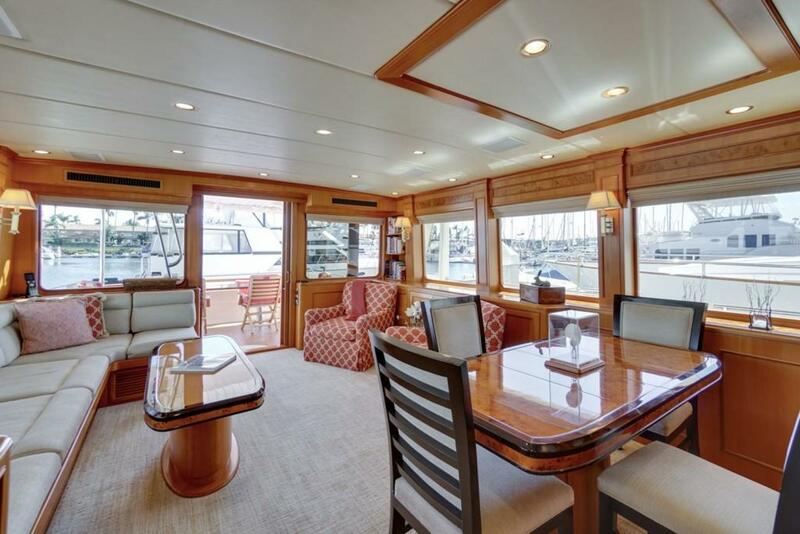 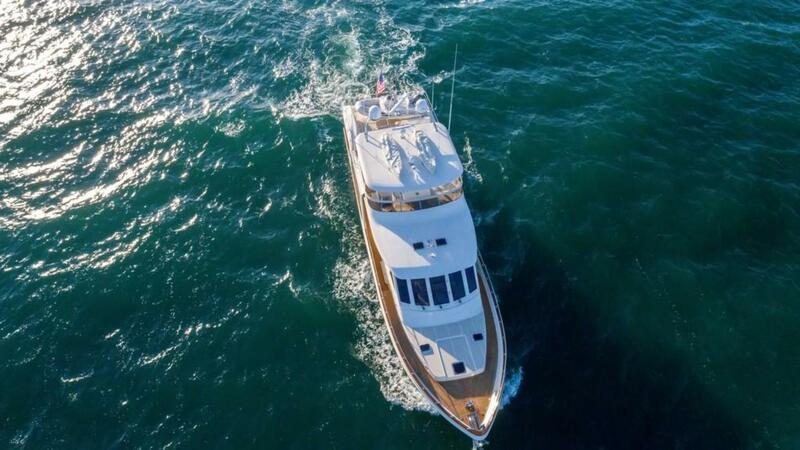 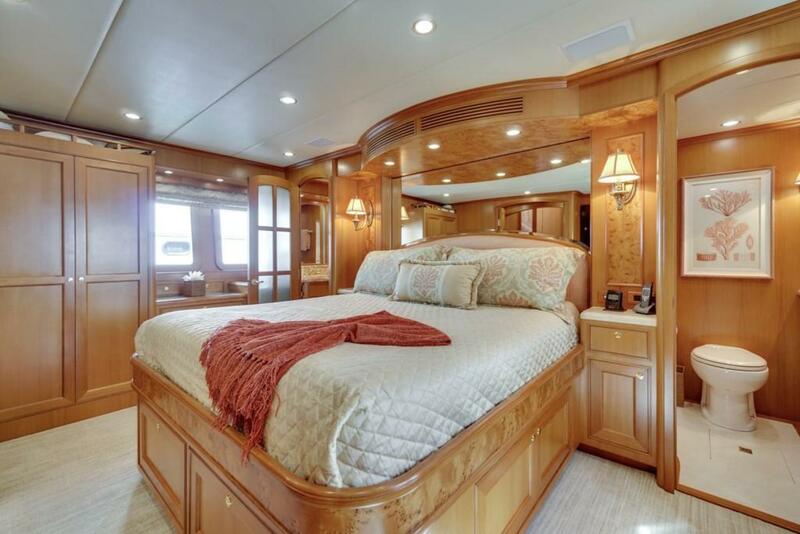 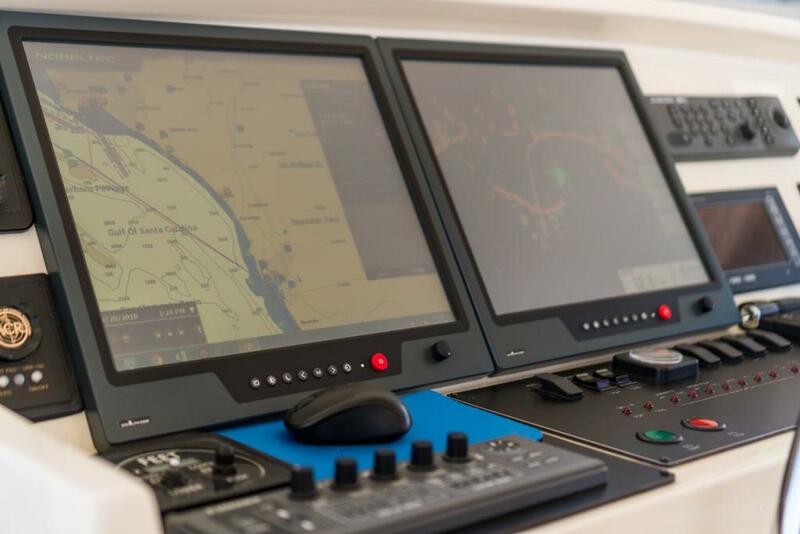 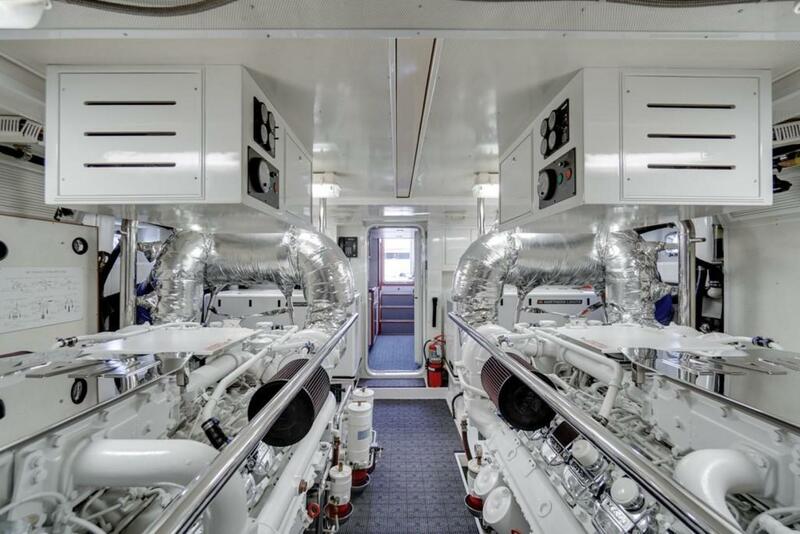 For more information, 3D interior tour and some amazing video of this vessel, go to "Full Specifications" scroll to the bottom and click on the link or email us and we'll send you the link. 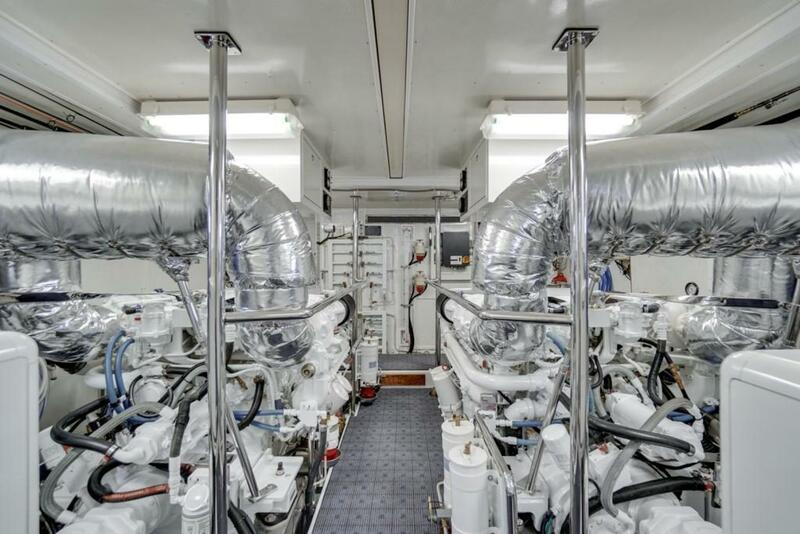 ASEA-AC12 power converter system with PH control (50hz or 60hz input) Europe ready. 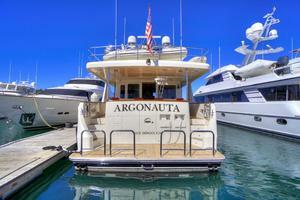 Owned by a transferable LLC in good standing. Two "Stidd" helm chair upholstered in ultra leather. 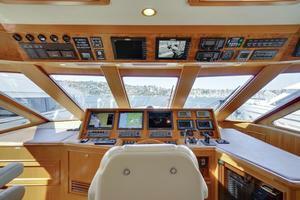 Nobeltec Chart region ZR 903 Alaska to Acapulco, Control America, East Coast and Bahamas. 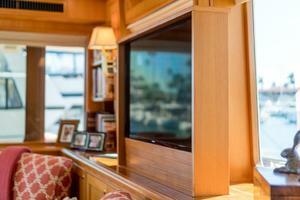 ASEA-AC12 power converter with control display in PH (50hz or 60hz input) for "clean" power onto the boat at all times. 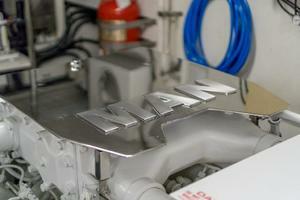 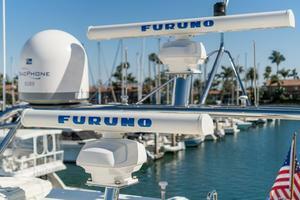 ASEA-AC12 (50hz or 60hz input) power converter system for "clean" power onto the boat at all times. 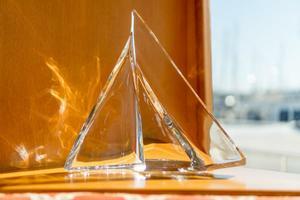 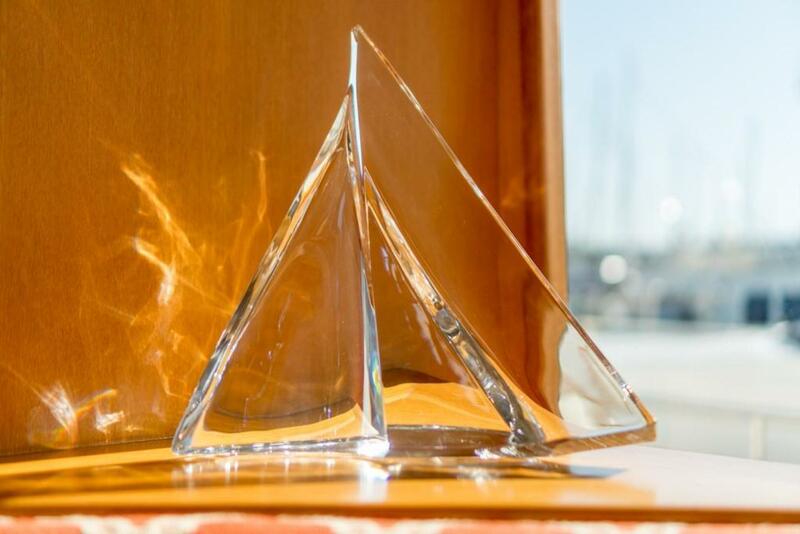 4 sided enclosure (front in 1/8" Lexan MR 10, sides and back in .060 Strataglass. Seafire automatic fire system "Halon style" in forward bilge, battery compartment and plumbed to both generators. 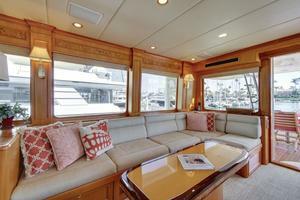 Custom canvas carpet runners for salon and Pilothouse.